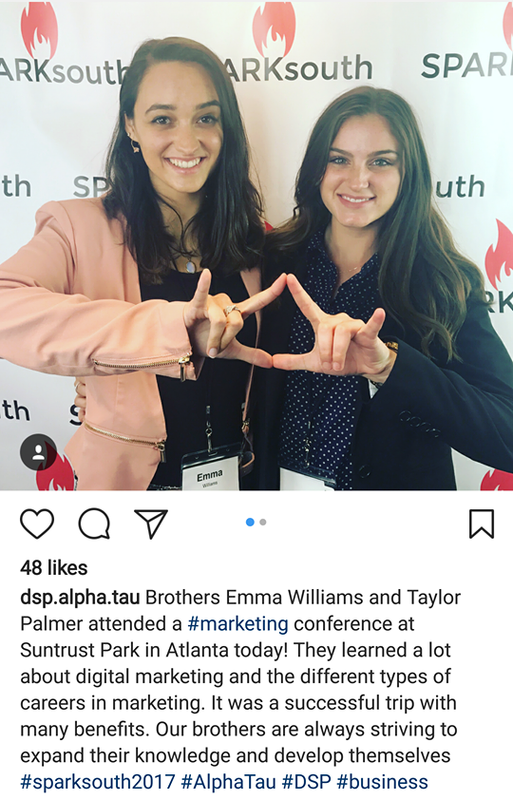 The annual SPARKsouth conference aims to benefit young marketing professionals and students in the southeast. An entire day is dedicated to providing attendees with insights about their career development with the help of expert panelists, mentor pairings, keynote speakers, networking opportunities, interviewing skills, and marketing career planning. Since marketing is a diverse industry, the conference offered four separate tracks - agency, brand, entrepreneurship, and career development. Depending on the student’s interests, they could jump from track to track in order to fully gain an understanding of how to break into a specific industry, find a niche, rise through the ranks, and gain insider tips. Following the success of last year’s SPARKsouth, feedback from speakers and attendees was overwhelmingly positive. 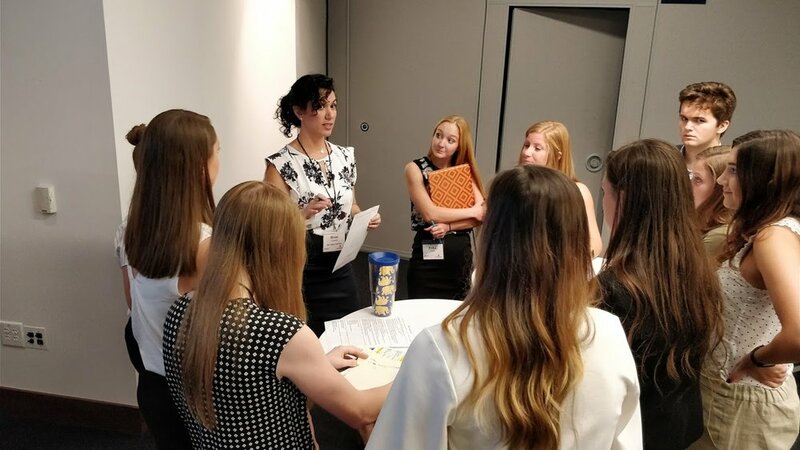 Social media, digital, and branding expert, Toby Bloomberg wrote a blog about her experience as a mentor during the conference. She shared her personal experience and comforted the students worried about their future with valuable advice. Sarah Lively, Director of Social Media Marketing at Nebo Agency, began the day by sharing her experience and encouraging the crowd to pursue passions and push past personal doubts. Brad Meriwether, Director of Consumer Marketing for the Atlanta Braves, emphasized the importance of digital as an aspect of traditional marketing within the Atlanta Braves marketing efforts. He went on to describe the vast opportunities, growth potential, and skills gained from the Atlanta Braves internship program. 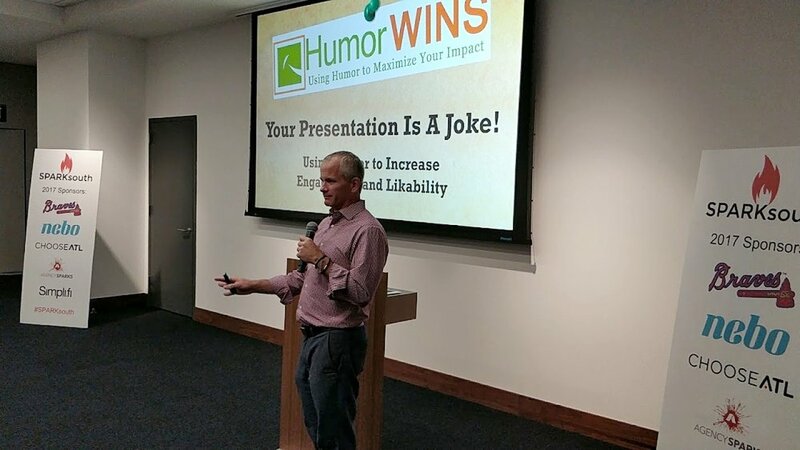 Marshall Chiles, Founder and CEO of Humor Wins and the Laughing Skull Lounge, spoke about the usefulness and impactfulness of humor and ways to leverage it “safely” in the business world. Here is a link to Marshall’s eBook entitled: Your Presentation Is A Joke. Related: Can Anyone be a Marketer? Greg Mize (Atlanta Braves), Katharine Mobley (First Advantage), and Mara Maddox (Leadercast) lead a panel about making it to the top in the brand world. No one takes the same path. Many marketing veterans started in one career or position and, based on hard work and setting goals for themselves, achieved their dream job. Adrian Sasine from BrandingHawk encouraged attendees to constantly gain experience and keep moving. He and Tom Lynch emphasized the importance of knowing one’s true self and strengths in order to find the right career. Empathy is important in marketing. When either networking or working with a client, it is important to listen and respond accordingly. Josh Perlstein from Response Media said “empathy” is his favorite word - it is the only way to deliver what the consumer wants. Do research and have opinions. Richard Makerson of BlueFletch emphasized resourcefulness and thorough research is always valuable. One solution is never enough - always present a client with multiple avenues to achieve a goal. Also, when posting on social or in an interview, have strong and valid opinions about industry events and news. Don’t be afraid to fail. This is the only way people learn and improve. Jason Rockman from Definition 6 said to jump in and start swimming because everyone is drowning in agency life. Many speakers encouraged attendees to run with a task instead of playing it safe and asking for approval. Mara Maddox of Leadercast reassured the audience that as “you grow and as you develop yourself, you'll find the perfect job. 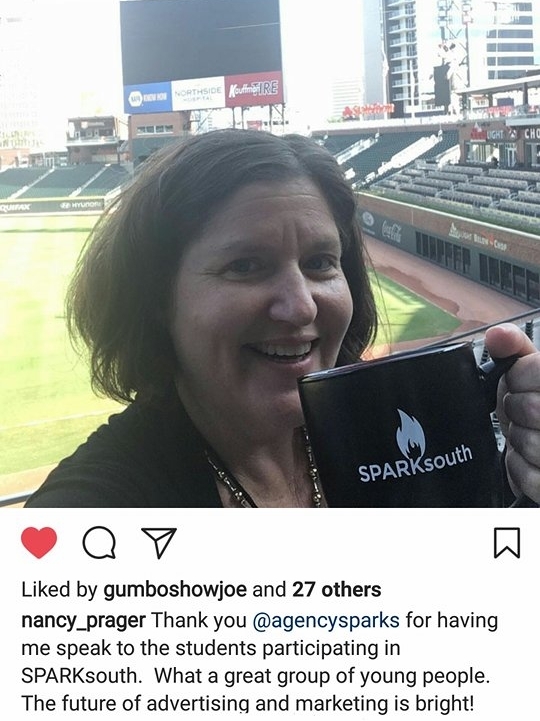 Sponsors for the event included Nebo Agency, ChooseATL (part of the Metro Atlanta Chamber of Commerce), AgencySparks, Simpli.fi, the Atlanta Braves, and Hypepotamus. Brand focused panelists included speakers from Leadercast, Atlanta Hawks, SweetWater Brewing Company, Turner Classic Movies and FilmStruck, Char-Broil, and Red Bull. Agency speakers came from all over Atlanta, including some agency partners BlueFletch, Definition 6 , PM3, Stripe Reputation, and Response Media. Entrepreneurs ranging in age and backgrounds shared their experiences in the field and how to make the first step into entrepreneurship. To see more photos from the event, visit: http://www.sparksouth.com/photos.